The Disaffected Lib: Welcome to the People's Pipeline. Would You Like a Two Billion Dollar Subsidy With That? Welcome to the People's Pipeline. Would You Like a Two Billion Dollar Subsidy With That? It's bad enough that the Trudeau government overpaid for Kinder Morgan's Trans Mountain pipeline just when the boys from Texas were about to throw in the towel. It's bad enough that it will take decades of transmitting climate killing, high-carbon bitumen to world markets to cover the cost of that new and improved pipeline. Now the Liberals want to promote their pipeline with a two billion dollar promotional subsidy to the Bitumen Barons. You tell me. 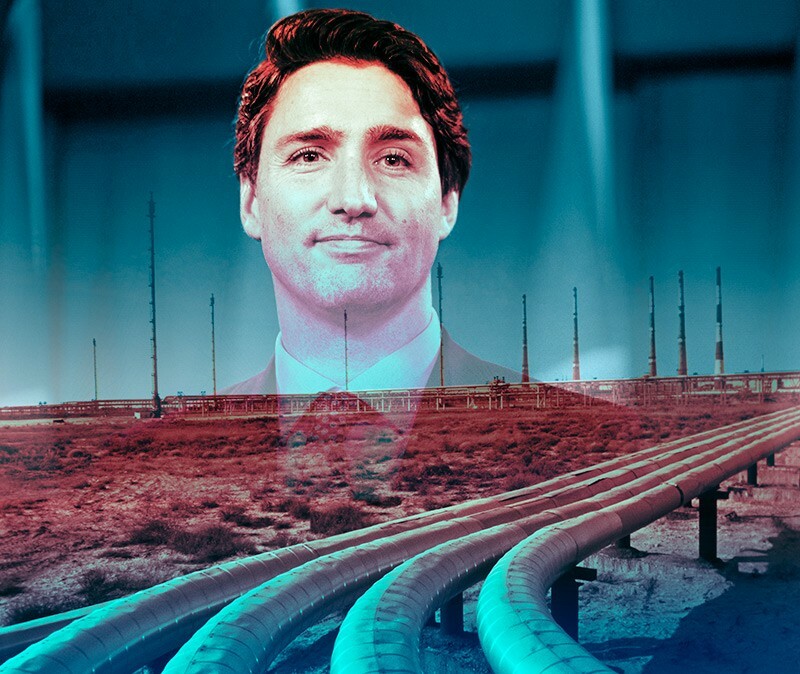 Is JT working for the fossil fuel industry or the Canadian people? And they still hate his guts. Wait a minute. But do they really? Maybe it’s a performance that they’ve perfected over time or just something they’ve come to understand as a longstanding and indispensable community-building activity. In either case, let’s just call it for the barn dance that it is and let the kid try to figure it out when he checks his numbers after E-Day. .. buying a pig in a poke ..
can clarify so this odd situation gets resolved .. in my muddled mind. First of all, our federal commercial realtors or stock broker..
a pipeline - yes, bought and paid for with OUR money. True or False ? said purchase was hailed by many n sundry..
WE were now in the dilbit shipping business & would make money ! because I read about in an independant blog on the Internut .. It does seem curious that the federal government goes to the National Energy Board that it appoints for permission for a handout to the same industries so many of the NEB previously worked for. This is... desperation. Bitumen producers aren't lining up to use the damn pipeline, because they're busy just trying to survive. The federal and Albertan (well, prairie) provincial governments are trying to wait out these "temporararily" low oil prices, not understanding that if oil prices ever do rise again (allowing for bitumen producers to actually earn a profit in tar-sands extraction), such prices will choke the majority of the economy. Low oil prices = economic recovery; rising oil prices = choking economy. It's a beautiful catch-22 we can never escape. The heady days of 2009 aren't ever returning. More than a few politicians were elected on the basis of "restoring" the economy based on the price of oil. Hell, a good politician should be using this catch-22 as an opportunity, speaking to the electorate how we should be moving off the necessity of oil in our energy sector, moving directly in electric. Trudeau had every opportunity to reset Canada's place into battery research, but has blown this opportunity. Canada produces some of the greatest engineers in the world, and we're doing nothing with them (and for them), placing them to work in dying sectors. We've now lost two or three GM factories, because Canada and Ontario still hasn't understood what GM has realized; there is no future in the gasoline-based engine. Had Doug Ford not stopped all funding into green technology energy in that province, GM probably doesn't pull out of Ontario as it did. I imagine in a few years further automobile plant closures in Ontario due to this same reason. British Columbia could capitalize on this were Horgan to provide funding for BCIT to partner with automobile makers, but he's trying to walk some fine line of appearing to be against carbon energy whilst also secretly trying to horn in on it. All he'd have to do would launch an investigation of Carole James' flawed process for BC granting its approval of the Trans-Mountain pipeline (it was beautiful: BC would grant approval based on the NEB approval, which was found to be completely flawed in court; BC still hasn't rescinded its approval based on this court finding). There is no future. We're imploding. Since the 1970's, North America has had opportunity after opportunity to move itself off the necessity of oil energy, but has looked away every time. That's about the same time Climate Change science began building its foundations. Just recently, I'd taken a pre-Civil War History class at the local university. The parallels for the US moving away from a slave-based economy are much reflective of the situation we find ourselves today; moving from a carbon-based economy to an electric-based one. Hell, it's the same god-damned actors making almost the same god-damned arguments. It is once again the economic versus the moral, and the moral side is losing! The problem is, these days there is no John Brown to light the fuse to start a Civil War between Climate Changers and Climate Change Denialists. There is no "Second Reply to Haynes" speech Climate Changers can use to rally the New Green Economists under a single cry of "Liberty and Union, now and for ever, one and inseperable!" The North does not have an electric-based economy it can fall back on were the South to secede. At the rate the US is going, it'll be another fifty to a hundred years before the North can do anything about the South. And we don't have fifty years. Personally, I am resigned. The world is going to hell, and I can only set my own affairs into order before then. I'll travel a little, and make sure to get my degree. When I return, I hope to do some good for my family and people. Troy Thomas asked, "Why are neo-liberal politicians so god-damned stupid?" Follow the money. Neo-liberal is all about greed. Nearly 50 years ago I took a similar course to your pre-Civil War History. It was quite revealing. The greedy can and will justify anything no matter how destructive or just plain evil. Subsidies won't help the pipelines. .. Trailblazer takes the day.. read his link to the article.. its a stunner.. Among the various reasons for conflict between western and eastern Ukraine, there were reflections of the US Civil Was. Western Ukrainians are Eurocentric and want an economy based primarily on agriculture. Eastern Ukrainians speak Russian and want their heavy industrial and aero space high tech jobs.